Great to see what they look like! 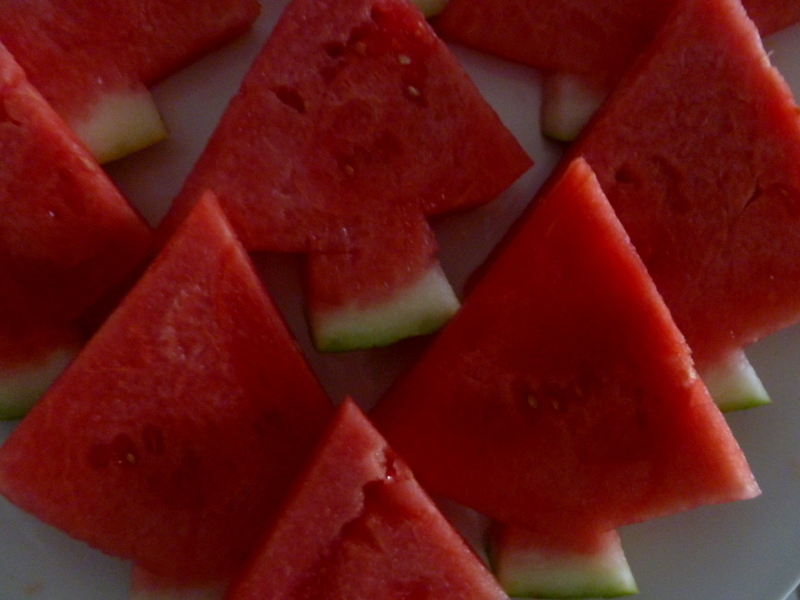 I was thinking it would be a bit hard to make them like a fir tree – all the ins and outs of the shape would be a little bit too difficult to prepare with watermelon. Well done! Glad that they found good homes at the party! Oh no, we kept it as simple as possible this time around! Less is definitely more with this one. What a beautiful and simple idea for any age Laura! We love the rose bush, another very good idea, I hope it survives the heat. Mulch it well to retain moisture and it should be happy for years. I agree that they appeal to all generations, and they can be eaten at any time too. I had one for breakfast on the day I made them, and it was a delicious start to the day! Thank-you for your advice on looking after our special rose. I’ll do my very best! Yummy. 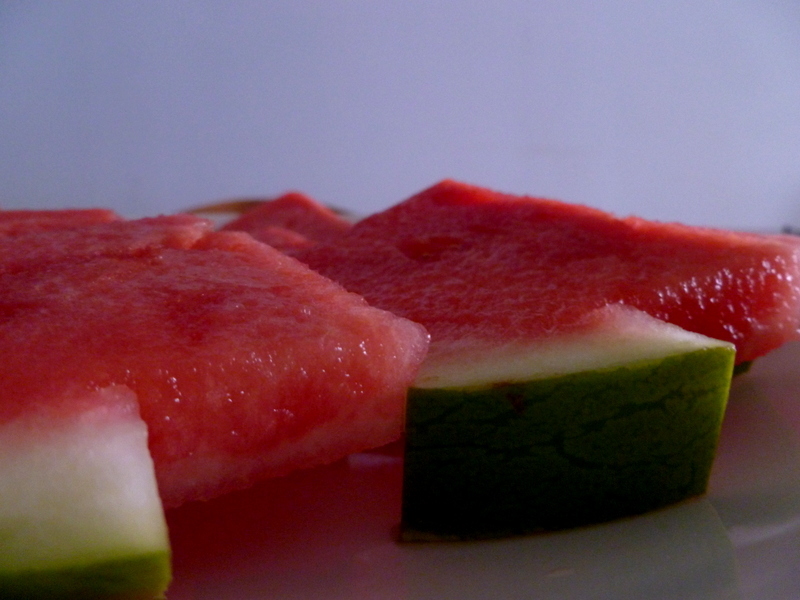 We love watermelon but we’re more in need of stew and dumplings than refreshing watermelon at this time of year! I did think how unsuited they were to a European Christmas as I was typing my post!